“We find the new management very obliging and offered us every assistance. The room was immaculate, bathroom facilities a little cramped because a full front loader washing machine and tumble dryer are installed for our own use, something out of the ordinary. The secure underground carpark gives reassurance that safety of our vehicle is a priority. 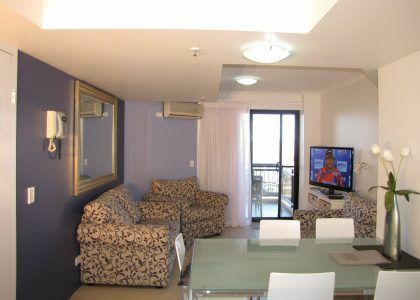 “We stayed in apartment 21 which was very clean, tidy & had plenty of space for 2 of us. Everything we needed in the kitchen was there and enough cutlery and plates for both of us. Nice view of the ocean, clean balcony and nice outside furniture. The bed was comfy and our room was quiet and relaxing. Couldn’t find much fault and the price was good value with free wi fi as a bonus. 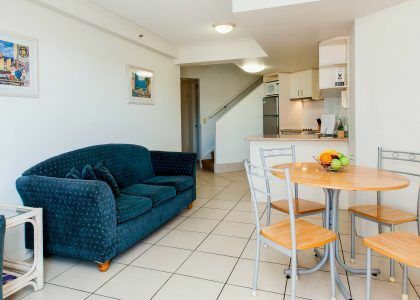 “I’ve stayed at the Windsurfer several times with my two sons and other family members, both for holidays and longer stays. 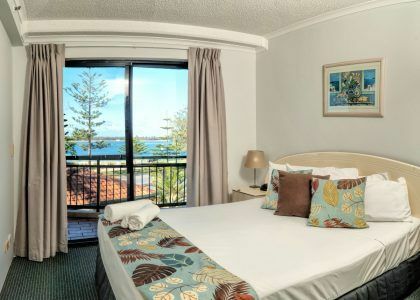 It is a great, family friendly resort in a fantastic location – literally across the road from the beautiful Broadwater. The rooms are clean and well appointed, with comfortable furniture and the rooms I have stayed in have all had lovely water views. My kids have been very impressed with the pool and spa area, the games room and the huge variety of Foxtel channels! !